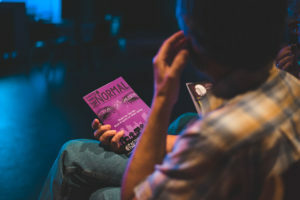 This September, Greenville College and the larger Greenville community had the privilege of seeing Next to Normal performed at the Factory Theatre. The musical, which is the winner of three Tony Awards and the 2010 Pulitzer Prize, was directed and co-designed by Jes Adam, director of the Factory Theatre and recruiter for the theatre program at GC. The Factory Theatre performed Next to Normal on the evenings of September 8th-10th and 15th-17th. The musical centers on the Goodmans, a typical nuclear family: Dan, the father; Diana, the mother; and their two children, Gabe and Natalie. Characters also include Natalie’s boyfriend, Henry, and doctors Fine and Madden. The cast included our own Dr. Rich Beans, chair of the Greenville College Psychology Department, as Dan; Angie Morgan, a GC alumna, as Diana; and Cory Casburn as doctors Fine and Madden. 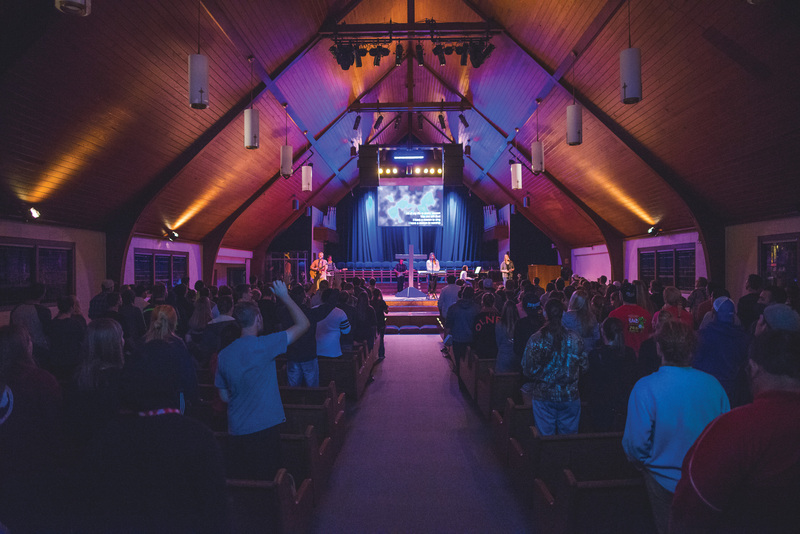 Three current Greenville College sophomores, Silas Groves, Emily Gaffner, and Braden Oestreich, played Gabe, Natalie, and Henry, respectively. As the audience learned that Diana suffers from bipolar disease, they saw how Diana’s illness affected her marriage and family. 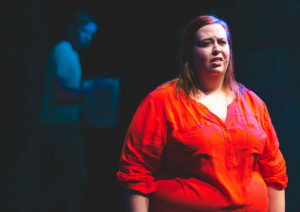 Next to Normal was decidedly more somber than what Greenville may have expected from the Factory Theatre, but the director and cast believed that its message was well worth the controversy. I picked Next to Normal, even though it was kind of controversial for this area, because the subject matter itself is something that I think is really important. Too often, theatre is fluff and is meant to make you feel good, and while that’s nice and sends you out the door with a smile on your face or makes you tap your toes, how has theatre changed your perspective? My philosophy on theatre is that it is a mirror that we hold up to real life. For Next to Normal, it was almost a flat representation of life. It was still done in the style of musical theatre, but it was real life. You saw real struggles, and I think that’s what made it important and that’s why it was received so well by the community. For me, the biggest impact was the reality of the show. It includes characters who seem very clichéd from the beginning of the show, but as you get to know them and as you get to see what their experiences are like, they become very nuanced. Henry, for example, just seems like your stereotypical stoner boyfriend, but as you get to know him throughout the story, he becomes something of a Christ figure. He develops into someone who is compassionate and wise and mature. The dynamic aspect of the characters was certainly something that drew in the audience; as the plot took a major turn toward the end of the first act, the audience began to question which characters they considered to be “good” and how they wanted the story to end. The character developments in the musical also reminded viewers that mental illness takes many forms and affects so many different people. This aspect further served to make the play real to the audience, as most of us have been affected, whether directly or indirectly, by mental illness. Reflecting on her character, Gaffner said, “Playing Natalie Goodman was such an eye opener for me. I saw so much of myself in her and realized how much I could relate to her in real life. I think that helped me connect with her in such a way that I could empathize with the struggles she was facing. 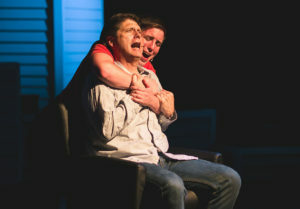 Mental illness does not discriminate, and while we often think of that one person facing its hardships, we forget that others are indirectly affected by it, including family and friends.” Next to normal treats mental illness and its representation of true life thoughtfully and responsibly, and the cast members all showcased their talents as they depicted those nuances. As its production of Next to Normal proved, the Factory Theatre is home to a multitude of gifted actors and singers, led by the creative direction of Jes Adam and supported by many capable crew members. Hopefully you had the chance to see You’re a Good Man, Charlie Brown on the weekends of November 10th-12th or 17th-19th. Regardless, be sure to catch Godspell over interterm and The Music Man in the spring!